Thank you to everyone who made this ride such a success! We’ve come a long way this first year and want to celebrate with everyone, as well as, strive to keep growing. 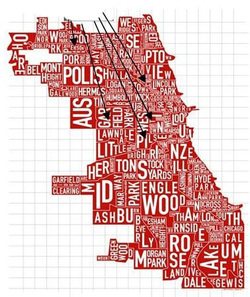 We are so thankful to the Chicago bicycling community that has been such a wonderful support to us. Over the past year we have performed at such events as; Tour De Fat Chicago, Critical Mass, Midnight Marauders, The Bike Winter Cycle Swap and Schubas Bike Bash. It’s time for us to make our own event and give back to everyone that has been there to cheer us on! Most Alley Cats are about speed, however, that's NOT OUR STYLE. We encourage a fun-spirited scavenger hunt to seek out our favorite spots that hold significance to The Racketeers. You will have 2.5 hours to leisurely find your way to our secret places. Take your time if you want and JUST HAVE FUN!!! Jeanette Skelly WON A DIAMONDBACK JOKER BMX BIKE courtesy of Upgrade Cycle Works! & GAVE IT TO EMILY DEAN OUR JR. RACKETEER!